I found this delightful book at the library last week. It's a wonderful example of how books have staying power long past their copyright dates. 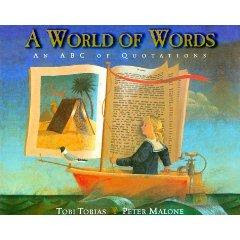 A World of Words by Tobi Tobias and illustrated by Peter Malone uses the ABCs as a device to spotlight quotes from famous poets and writers. Originally published in 1998, it is still fresh today. Although this book is not the basic ABC primer that one would use to teach the ABCs, it is a rich and luscious journey through the variety and uses of language. 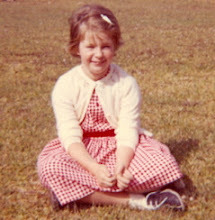 It is important for children to hear the patterns and cadence of language even if they don't understand entirely what is being said. This is a lovely book that will provide hours and years of enjoyment for children and adults alike. What a smashing looking book - thanks for sharing. I find it hard to get the right mix of fun and education with kids' books. Bayard's seem to have solved this problem and cater for for all ages with their series of StoryBoxBooks, AdventureBoxBooks and DiscoveryBoxBooks (which has a special focus on teeth!) They have work by acclaimed children's books illustrator Helen Oxenbury appearing in the Storybox series for September. In addition to this, they also have some great activities for rainy days: http://www.storyboxbooks.com/potatoprinting.php, http://www.adventureboxbooks.com/macaroni-picture-frames.php, http://www.discoveryboxbooks.com/skittles.php Enjoy! A World of Words, what a cool title.